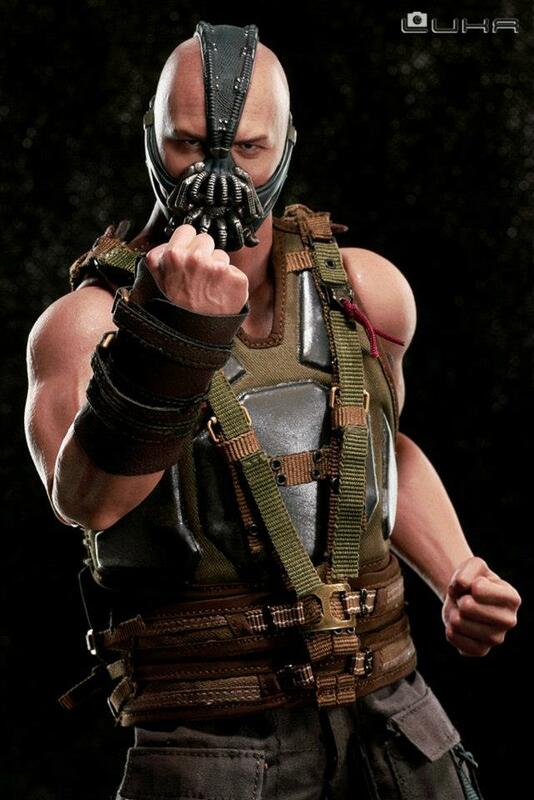 Hot Toys brings us the final product of The Dark Knight Rises: 1/6th scale Bane Collectible Figure. Here are a few photos and you can view the rest here. 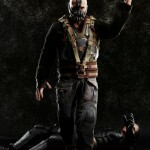 This is a must have for you Batman fans out there. 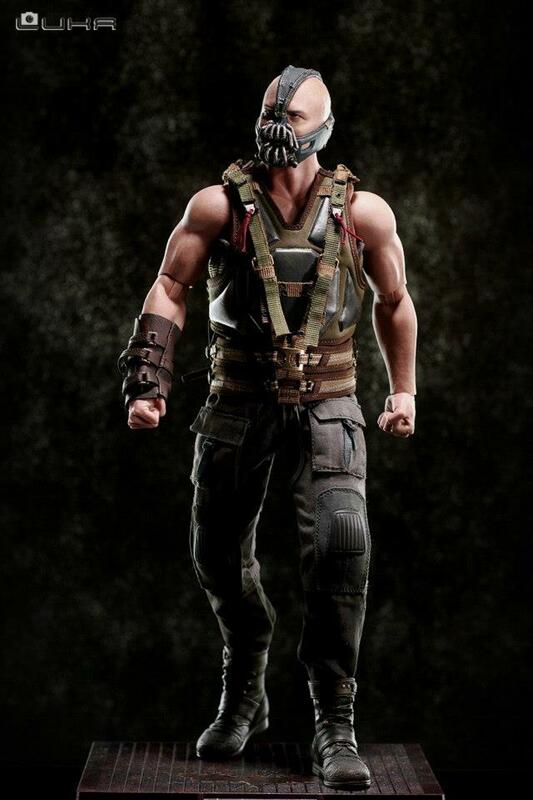 Oh wow...what happened to ya Bane? You look like Batman has starved you of your titan fix for quite sometime. Better keep that trenchcoat on. The arms could use some beefing. Hardy's arms are bigger than that. 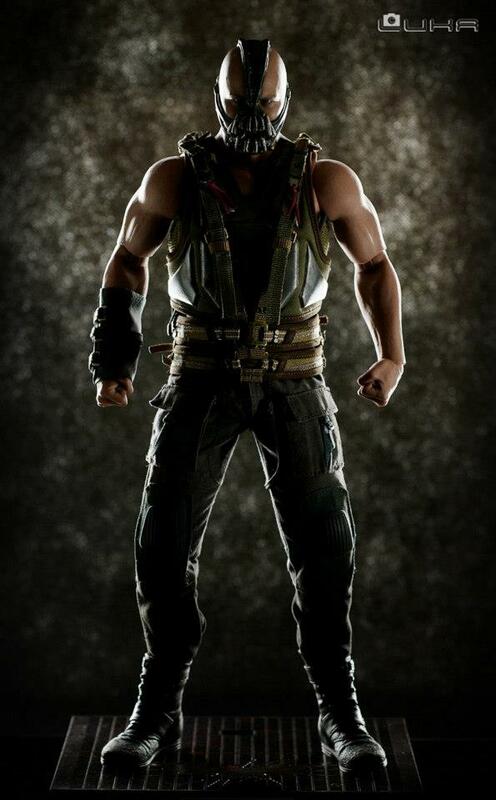 Also I'd love to know if he can do the hands-on-straps "Mr Wayne..." pose from the trailers. 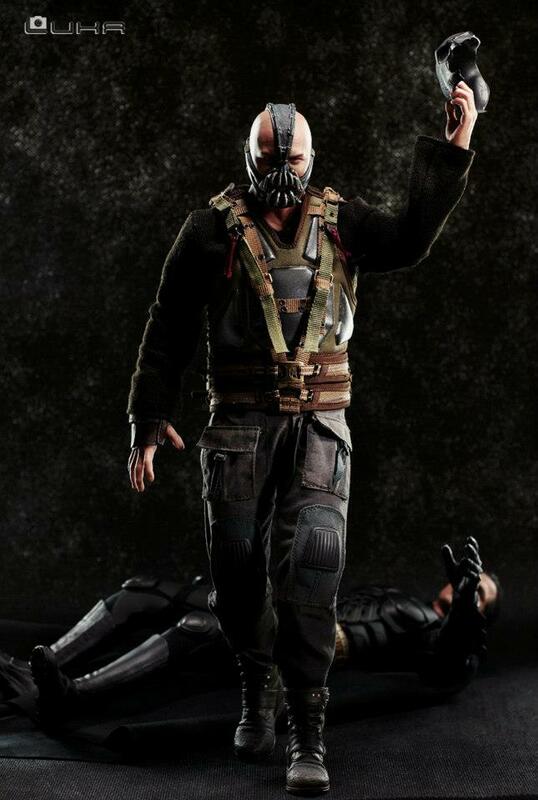 Oh look, another Hot Toys figure that I want badly, but will not be able to afford. It should be considered a crime that an action figure costs nearly 200 bucks. 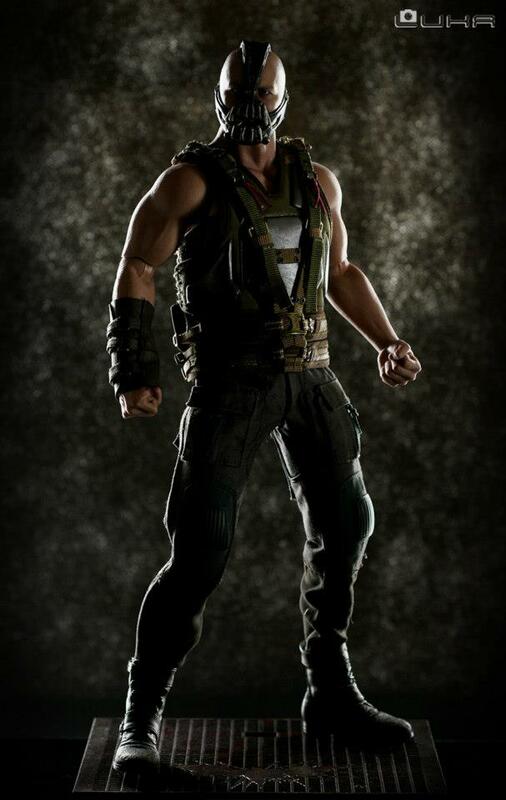 After watching the movie, I'd seriously consider getting this figure. Something tells me they put out these shots to try and generate some more interest due to lack of pre orders. 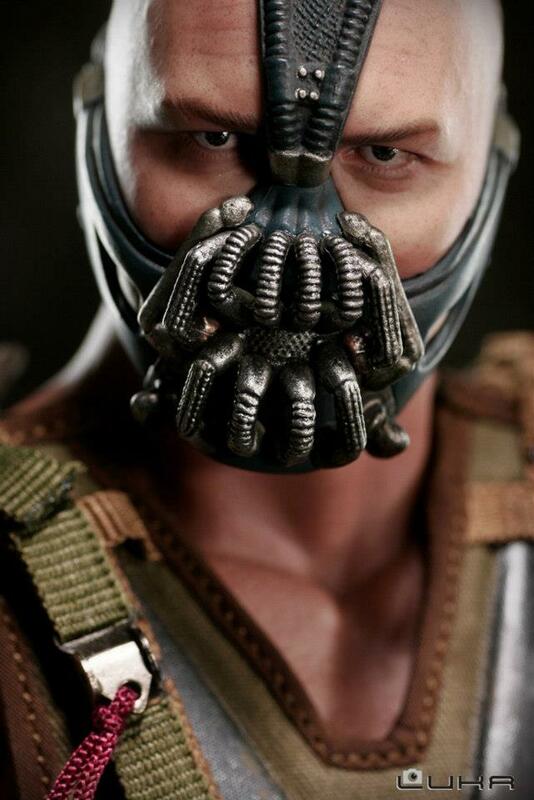 Everywhere I have looked, they have not sold out unlike the other Hot Toys. I heard rumours that people are waiting for a DX version, but I don't know what they could include other than a beefed up body? That camo tumbler actually looks better than the all black to me. So wish I had the money for it.